Create an adorable kitty in a unique frisbee shape! Kids will love their new pet. And the best part...no litter box required with this cutie! Create a customized frisbee kitty for your children and grandchildren in their favorite colors. 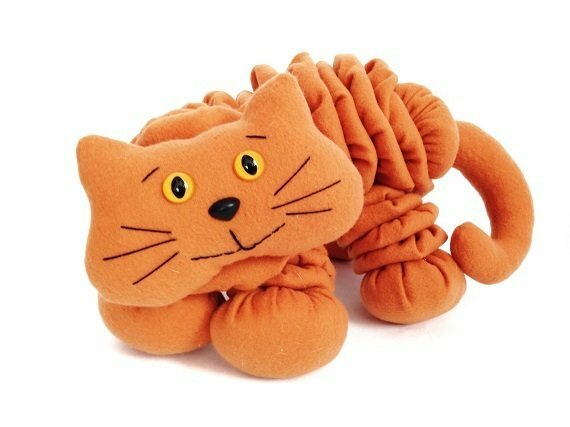 - 1 PDF sewing pattern with instructions and pattern pieces to create a 10" (excluding tail) plush cat. - Free bonus PDF sewing pattern with instructions and pattern pieces to create 12 children's pillows, one for each month of the year. Keep the creativity flowing all year round! Click here for details.